If you are thinking about couples counseling or marital therapy, please contact me to find out how I can help you. 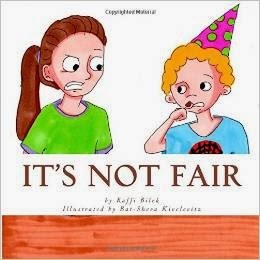 New Book: "It's Not Fair"
The latest in my children's book series is now available, dealing with the favorite childhood refrain, "it's not fair!" No doubt this will be a valuable addition to everyone's home library and parenting toolbox! This is an important question to ask... if you're planning on listening to the answer. The sequel to my highly popular "How to Be Married to a Man:"
My article, “How to Be Married to a Man,” recently published in the Where What When, earned me a lot of head nods and a couple of high-fives from male readers. It also led some women to indicate that perhaps I could offer some comparable tips to the other gender. (That would be the male gender. I am spelling that out for the men, who, of course, need things made explicit for them, because they don’t do things like “infer” from what you said.) In recognition of the great need, I present you with this article about how to be married to a woman. And this time, I can claim a lot more credibility, since I (a man) am married to a woman. I will break down the essence into a triplet that I did not invent but that has been used widely by many other folks and is pretty darn helpful: It’s all about the three A’s: affection, attention, appreciation. Ha ha, right, gentlemen? It is unfortunately not so funny, insofar as many of us practice this approach to some degree. For most men, hearing “I love you” on a daily basis is not nearly as emotionally nourishing as, say, a hot steak dinner (see previous article). For many women, however, the “I love you” beats the steak hands-down any day. Men, wise up. You need to tell your wife that you love her (and mean it). Regularly. Yes, I know you’re not comfortable expressing your feelings like that. Well, guess what? I’m not so comfortable taking out the stinky garbage, but I do it anyway. Regularly. Indeed, attention takes place even when you’re not actually with her. Remembering to buy flowers when you’re out is not only a nice sign of love and affection, it also shows her that you think of her from time to time – that she “takes up space in your hard drive,” in the words of a respected rav. So does bringing her back her favorite pastry from the bakery you passed by or even picking up her preferred brand of contact solution because you knew she was running low. These things all demonstrate that she is important to you and that you are thinking of her. Attention also means listening to her chat about her day rather than checking your email/the news/the score on your iPhone during dinner or in the car or while you are cleaning up together. (Hey, now there’s a good idea.) Hopefully, most of the time, what she has to share is not dire or urgent, but you still have to listen. More than that, you have to attend. Registering sound waves on your eardrums while actually attending to the smartphone does not count, because your attention is on the smartphone and not the wife. 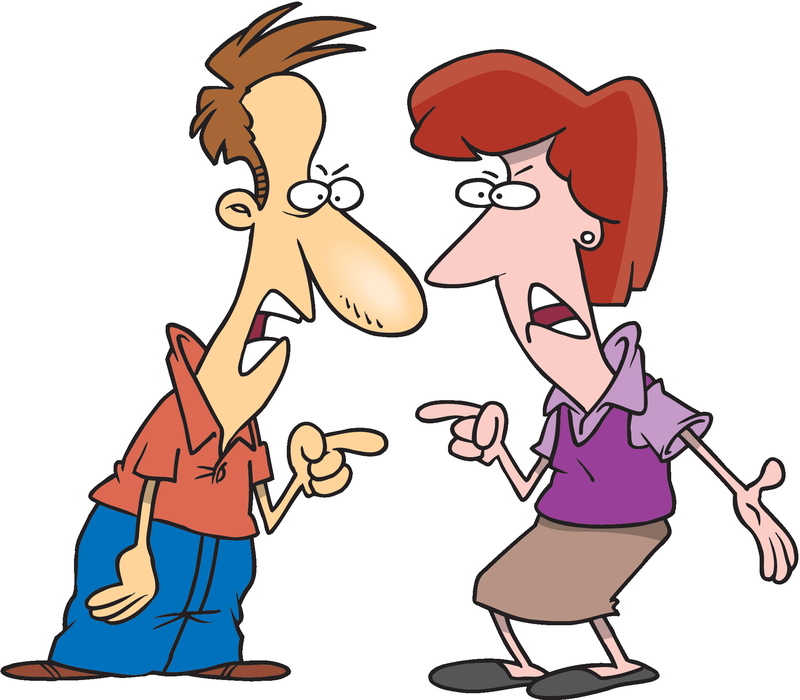 It does not convey to the wife that she is important to you, even if you did hear what she was saying and can repeat it back to her in some exaggerated attempt to prove you were listening. When you listen to her about the small things as well as the big things, you show her that what is going on inside her is important to you – that she is important to you. That’s what she wants and needs from you. Appreciation: We men are frequently the main providers in our households. We go out to work eight-plus hours a day, sometimes slogging through a grueling commute, and coming home in the evening to our wives who perhaps do not work, or work less than us, or work at less intense jobs than we do. Consequently, we often come to the extremely boneheaded conclusion that we are working harder than they are. Let’s be clear about this: if you have children, your wife is probably working much harder than you are, even if she is a stay-at-home-mom. And if she is even minimally employed on top of that, it’s a pretty sure bet. Some of our male readers are right now nodding their heads in agreement. Those would be the men who have had to manage the household for any period of time while their wife has been away or ill, and who have experienced what it is like to try to get the kids in the bath while cleaning up from dinner and packing up the lunch boxes, and the baby is crying and probably needs a diaper change except that you can’t remember where the diapers are, and once you find them you end up putting it on backwards anyway, and nobody will brush their teeth because you didn’t put the toothpaste on the right way. And so on. Needless to say, I have a tremendous amount of respect for my wife. What is needed, however, is that I say it. That is, I tell my wife – once again, regularly and frequently – how much I appreciate what she does. The truth is that it’s remarkably easy, because I know what my life would be like if she didn’t do what she does. If she did not cook me dinner, odds are I would be eating a whole lot of toast and tuna fish. So I appreciate when she cooks me dinner. I appreciate it, out loud, every single time, because that’s one more night I’m not eating toast for dinner. (Sometimes if she doesn’t cook, I might be eating leftovers, but of course that also means that she made me food the night before.) I appreciate when she puts the kids to bed, because if she didn’t, I would be going bonkers trying to pull it off with half as much patience as she does. If you think about it for not very long, I am sure you can come up with a similar, extensive list of deeds your wife does for you. You are not entitled to these favors. Nowhere did she sign a contract stating that she will cook your meals or do your laundry. We must be super grateful for all the things our wives do for us all the time that we often hardly notice; we must say so to them, and we must mean it. It means an awful lot to your wife when you sincerely thank her for dinner, even – especially – when it wasn’t a five-course holiday meal. Try it and see. Dear readers: although this article is (intentionally) humorous, it is also filled with very real and helpful advice. My advice is, take my advice. As with my previous article, this is by no means a complete list of what it takes to make your wife happy. (Thought you could get away with three things, eh?) But these principles are a good foundation: Start with these, but don’t stop with them. Here is another column from the BJH in which I answer the classic question: How do I get my kids to eat their dinner??? My kids are really great overall, but the one area that never seems to work out is dinnertime. They simply don’t want to eat! It always seems to be a fight getting some food into them. How can I get them to eat their dinner properly? 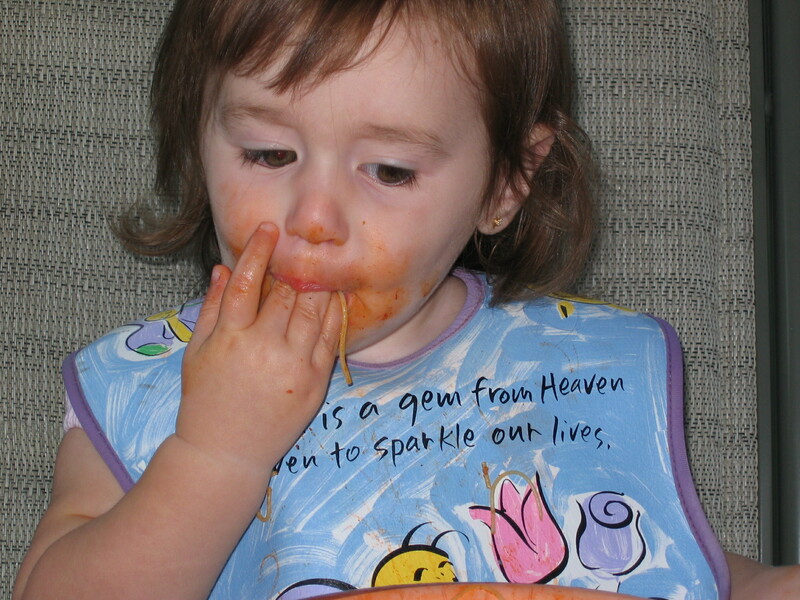 Dinnertime is a common flashpoint between parents and kids. You are not alone! Let’s take a look at some conceptual points that will help us develop a healthy approach to dinnertime, and then we’ll touch on some practical tips to grease the wheels. The solution is to not care if they eat. Really. If you are genuinely concerned about their nutritional levels, take them to the doctor and get a blood test. If the doctor says your child is healthy, then there is no problem with their food intake. If they aren’t hungry for dinner, then they aren’t hungry. (Do you often eat a meal when you aren’t hungry? Probably not.) However: you can and should nonetheless establish rules so that they do not drive you crazy later on in the evening. That means that dinner should be available for a defined period, not whenever they feel like eating. If they discover that they are in fact hungry just before bedtime, let them have a piece of bread or matzah – something really plain that will sate their hunger. What happens when you give up your need for them to eat is one of two things: either they stop feeling the need to resist and start eating, or they continue not to eat because they really aren’t hungry. Fortunately, nature works in your favor on this one, and eventually, they will be hungry enough to eat (trust me on this one). If you keep junk food out of the house as much as possible (or at least inaccessible), and model healthy eating yourself, then when the cravings strike your children will start eating nutritional foods, which keeps you, them, and the doctor happy. Finally, some practical points to bear in mind to help ease the situation for fussy eaters and such: first of all, make sure your kids like the food you serve. This may be obvious, but we sometimes forget that kids in general like simple, whereas we older folks enjoy more complex flavors. Complex doesn’t do it for kids. They want plain noodles, or maybe noodles with cheese. A bowl of cottage cheese could be great, with a cucumber stick on the side. If you are making delicious casseroles for you and your spouse, you may need to be making backup foods for the kids as well. And yes, they may want to eat the same thing every single day. Don’t force them not to! It seems unpalatable to us, but as long as the doc says the kids are healthy, there is absolutely nothing wrong with it. Their bodies will provide cravings for the right balance – carbs, proteins, etc. – over time (provided that their systems are not awash in sugar). Lastly, make it fun. 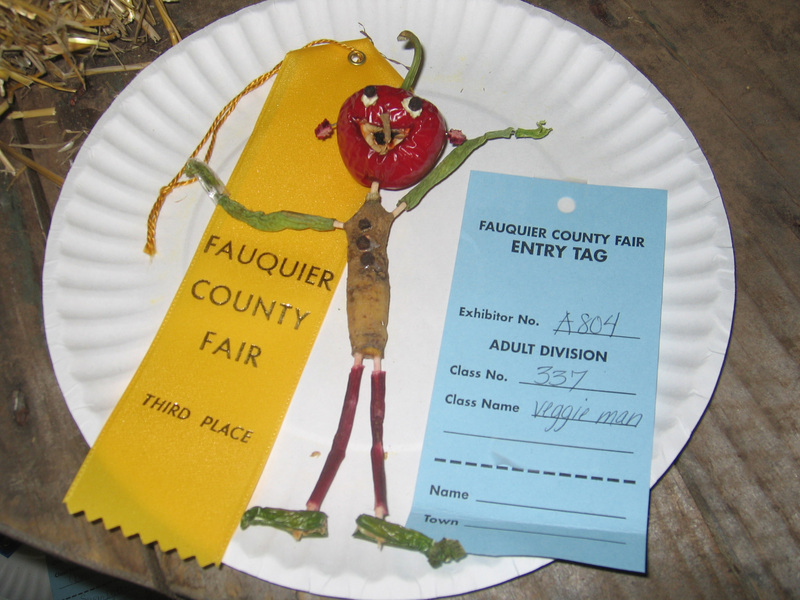 A young child who refused to east his or her veggies moments ago might do a complete 180 once s/he sees the little man with funny hair that you created out of carrots and cukes. Some children like to pretend they are eating fantastic items (magic beans, anyone?) or that they themselves are animals of some kind while they eat. Older children may enjoy being a part of the preparation process. Creativity is key. This is not an exhaustive list of ways to better manage dinnertime, but I hope it will spark some ideas for you. Most importantly, keep in mind the pitfall of the power struggle. When you let go of your need for the children to behave in a certain way – and this is true in many areas – you may find that they will step up to the responsibility quite on their own.